A Total Concept Landscape Architects, Cabana & Pool Designers are recognised leaders in the design of domestic spaces in any style including swimming pools, spas, cabanas, renovations, outdoor rooms and alfresco areas, deck, pergolas, courtyards, tennis courts, water features, garages and carports. We undertake work on all sizes of projects throughout Australia and overseas from courtyards to acreage including simple projects and complex, difficult and controversial sites. Jamie Bacon Landscape Design provides affordable, practical & engaging landscape design in Sydney & the Hunter Valley of NSW creating beautiful outdoor spaces. From contemporary garden design to traditional formal gardens, our focus is to extract the full potential of each project, transforming our clients dreams into reality. From the initial client meeting right through to contractor selection & project management, we are able to deliver a range of services & support to insure our clients receive outstanding results. Bespoke Landscape Design And Construction Create the perfect outdoor space with two time Chelsea Flower Show Medal Winner, and The LifeStyle Channel's resident horticulture expert, Charlie Albone. One of Australia's best landscape designers, Charlie is an LNA Master Landscapers Association Ambassador, and a member of the Australian Institute of Landscape Designers & Managers. He and his team can take your garden from concept to completion. LivNscape are specialists in decking, garden design, and landscape construction; offering clients a complete landscaping and design service. Turf Design Studio offers a rare depth in thinking for major development and public domain; weaving together planning, design and ecology into a vibrant tapestry – creating places that are functional, fit for living, and where the hand of the designer remains largely unseen. We understand the nature of major urban projects and what it takes to deliver them. As Landscape Architects and Urbanists, we are key contributors in the making of cities. Our blended knowledge of urban design, landscape architecture, environment, community and infrastructure makes our profession unique in connecting people and place. Our creative and accomplished team brings fresh thinking to every project and strives to realise a site’s inherent character through innovative planning and design solutions. The making of meaningful, beautiful places is an endeavour that we take very seriously, as both a creative challenge and project responsibility. What makes a place feel right? How can it surprise, excite or soothe the senses? What purpose must it serve and what stories can it tell? We create settings for life – to enrich a site’s essential qualities of space and light, how it is sensed and how it is revealed. We create memorable places. Abelia has been designing and building imaginative solutions for gardens in Willoughby, Chatswood and Castlecrag since 1995. Our garden design and construction experience contributes to an informed and knowledgeable approach to each and every design challenge. We provide expert design solutions, our own experienced construction team, a fully integrated and seamless service, flexibility to respond to all needs, back up maintenance and redevelopment capabilities and a customised designed construction service to suit your needs. WHAT WE DO We specialise in the supply, installation and maintenance of commercial and luxury residential vertical garden projects across Australia. WHO WE ARE We are a tight team with skills in horticulture, design and operations, based in Sydney. Over a decade in the business, we have trialled many vertical garden systems, without finding one that met all our needs – or those of our clients. Evolve Garden Concepts loves gardens, in fact we are passionate about everything outdoors. With our roots in horticulture, we've been making gardens all Sydney since 2005 and have grown into a company that provides landscape design and plans, landscape construction, horticultural consultation, exterior styling and garden maintenance. We offer exceptional customer service, are always problem solving, forward thinking and visionary and have a culture and reputation that attracts the best staff and subcontractors to ensure the final product is excellent in every way. From pocket size balconies to big backyards, our gardens and landscapes extend your living space, add value to your property and reduce your carbon footprint and most importantly they are beautiful environments that you and your loved ones will enjoy for years to come. Southern Sun Landscapes is committed to delivering high quality, innovative and environmentally friendly aspects to your property as if it were our own home. We quote for each specific aspect of the job. These are itemised and quoted up front, or in progress with the makeover so there are no hidden costs. At Southern Sun Landscapes we understand the needs of our clients and therefore the majority of our work comes from referrals of our satisfied customers. 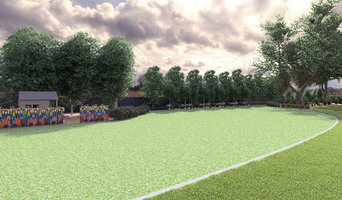 We pride ourselves on attention to detail and a tidy workplace so as to help our clients enjoy the landscape process. North Shore Landscaping is here to bring to you one of the finest gems in terms of landscaping services that will take care of every expectation that you have for your house. We are ever-ready to design a perfect backyard, customized pool and recreate your gardens so that it adds more value to your home as well as business. We have one of the most professional and qualified architects, builders, designers & engines that will ensure that you achieve the perfect balance between the beauty and the utility aspects. The building can now have sustainable aspects that require less maintenance. We are consistently striving to achieve optimization of space and raising the standards of living with our efficacious yet affordable solutions. 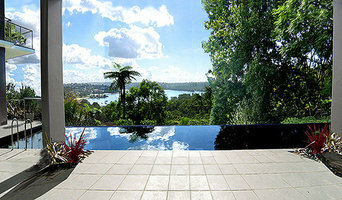 We take immense pride in offering our landscaping maintenance services in and around the Sydney region. We have many satisfied and loyal customers who have place a great role in the expansion of our prospects. From residential to commercial projects, we take every assignment with utmost seriousness &commitment. As long as we are at your services, you can be sure that you have access to the high quality and really worthwhile services always. You can indeed just a call away from enjoying world class spaces! 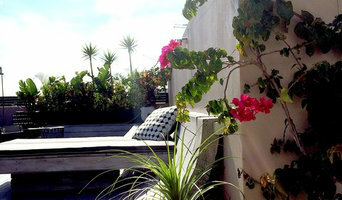 Simpla is an online landscape design consultancy, bridging the gap between people and their outdoors spaces.